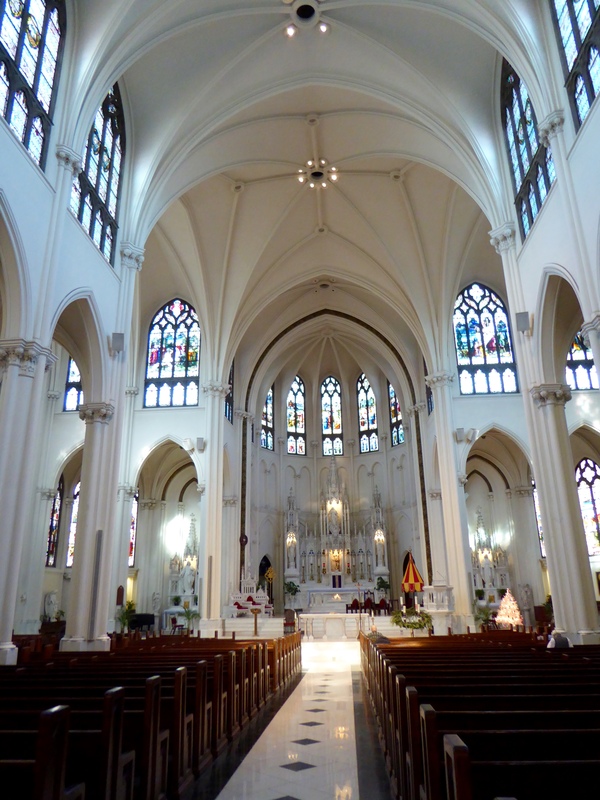 I, Zeb the Duck, went inside the Cathedral Basilica of the Immaculate Conception in Denver. 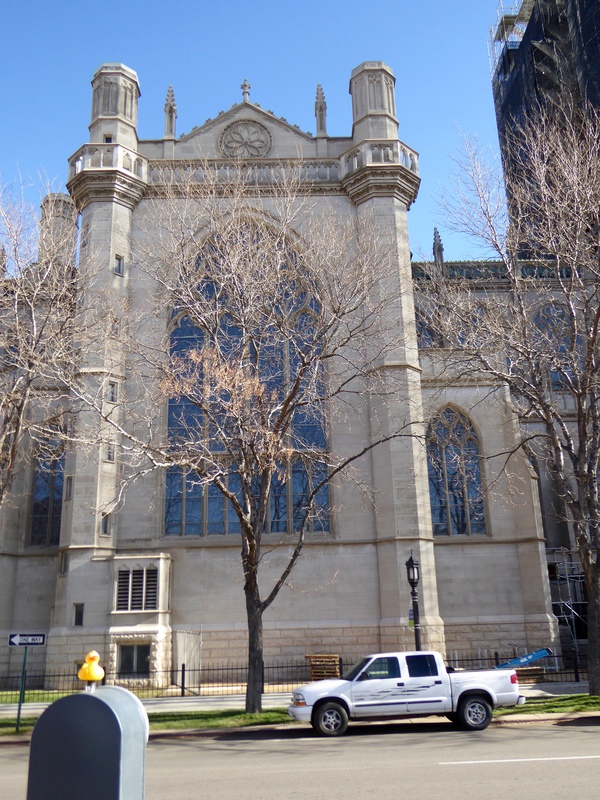 This is the cathedral of the Archdiocese of Denver of the Roman Catholic Church. And it is beautiful! Mom did not take this first photo. It was a free download from the internet. This is the only photo she did not take and later you will see why this is not hers. This cathedral opened in 1911. It is beautiful. It is 195 feet by 116 feet with a 68 foot vaulted ceiling. 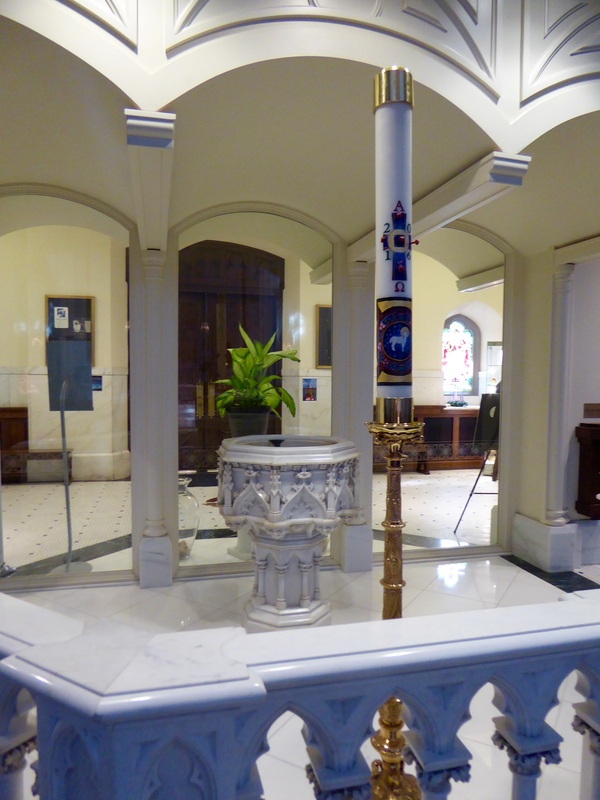 In the vestibule we admired the baptismal font, which has the original communion rail around it. 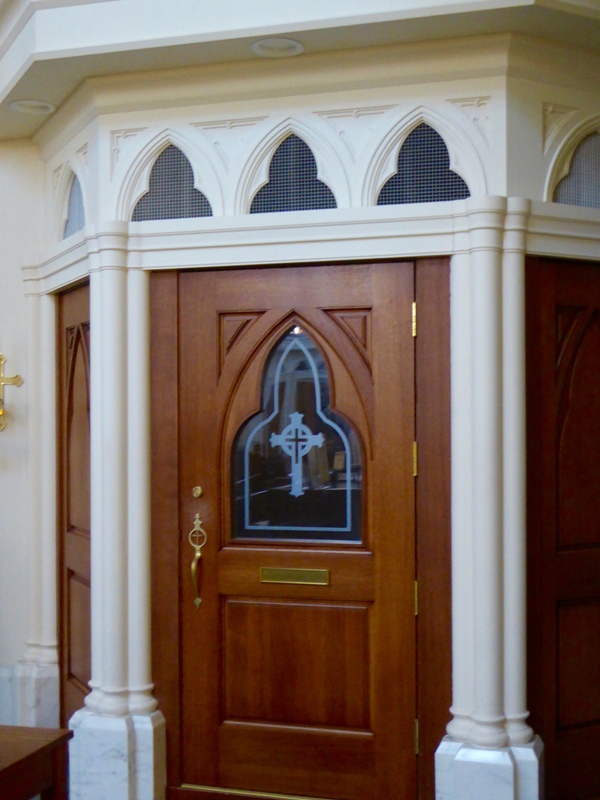 Entering the cathedral, there are confessionals on each side. 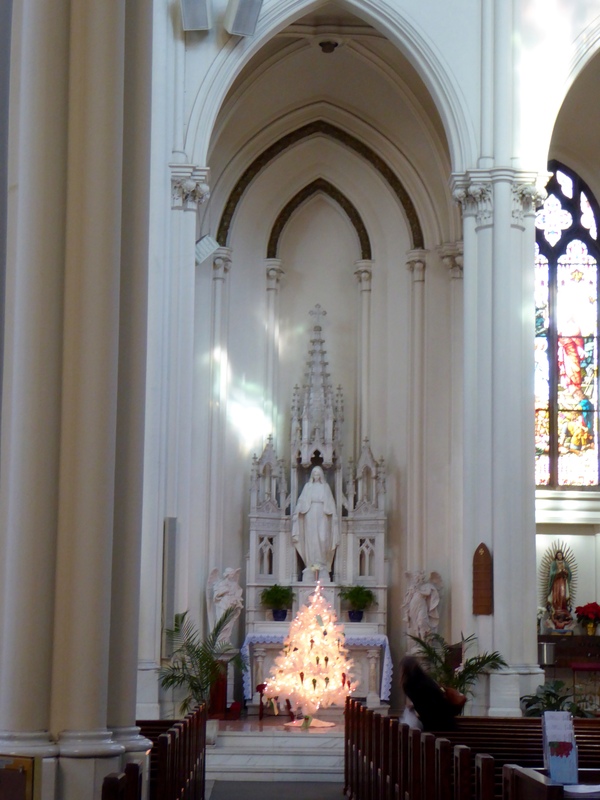 We loved this Christmas tree. 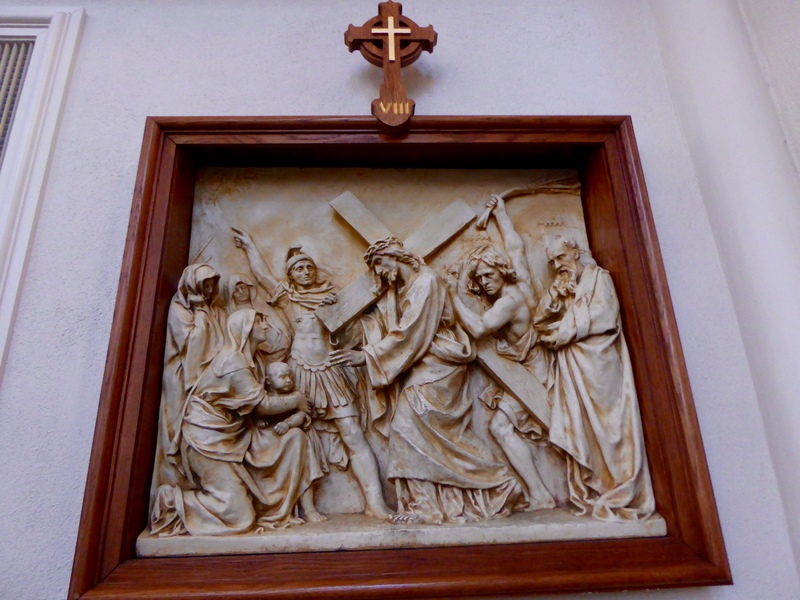 Along the side are the Stations of the Cross. The foundation is of Gunnison granite (from Gunnison, Colorado). 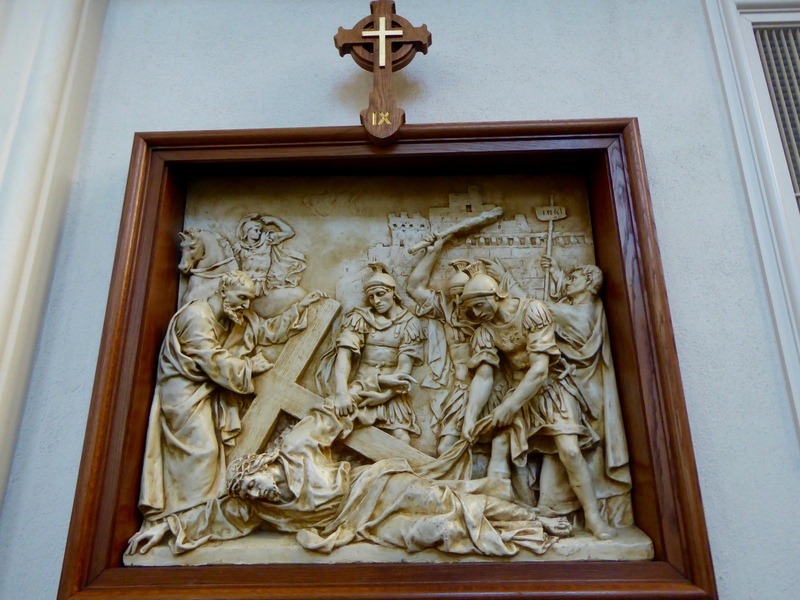 The finest Carrara marble from Italy was used for altars, pedestals, pulpit and other items. However, much of the interior structural marble is from Marble, Colorado. The pride of this building, however, must be the 75 windows. 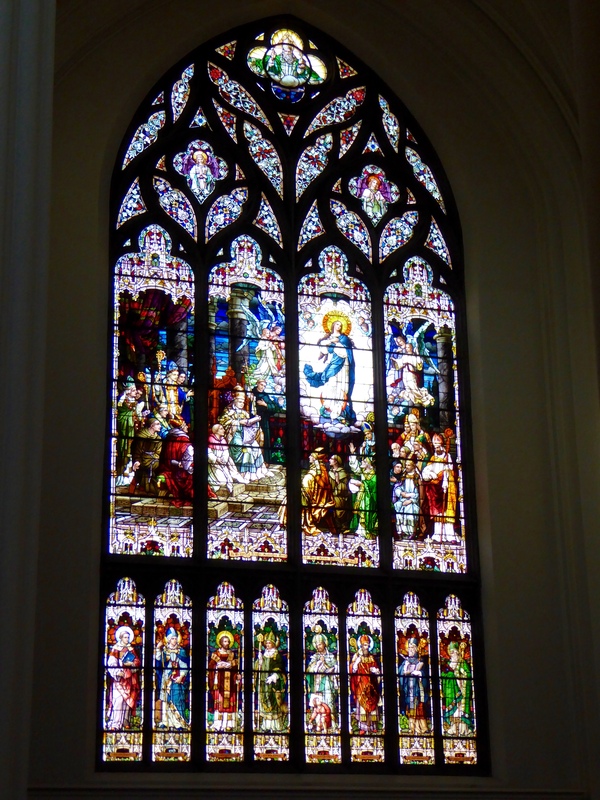 According to the website for the Basilica, this is more windows than any other church of any denomination in the United States. 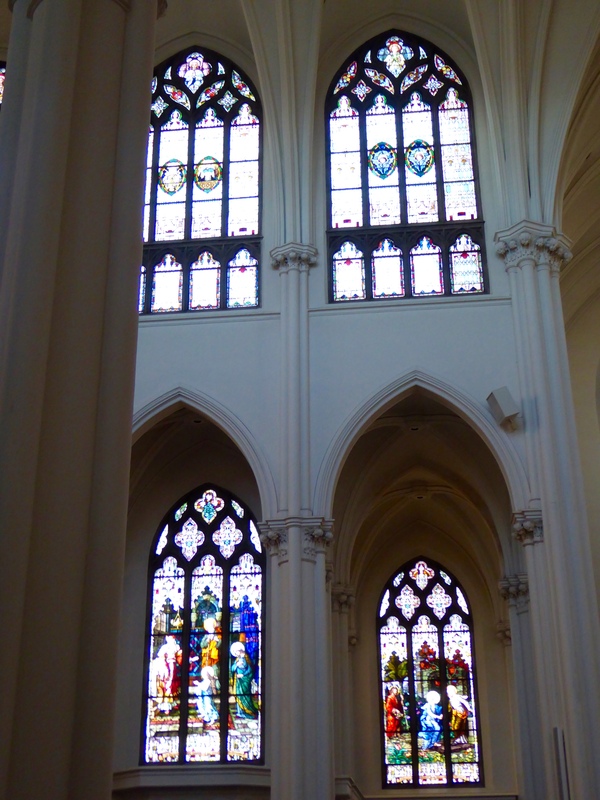 These are considered some of the finest windows in the world. They were crafted in Munich, Germany at the Royal Bavarian Art Institute. Just look at these windows. 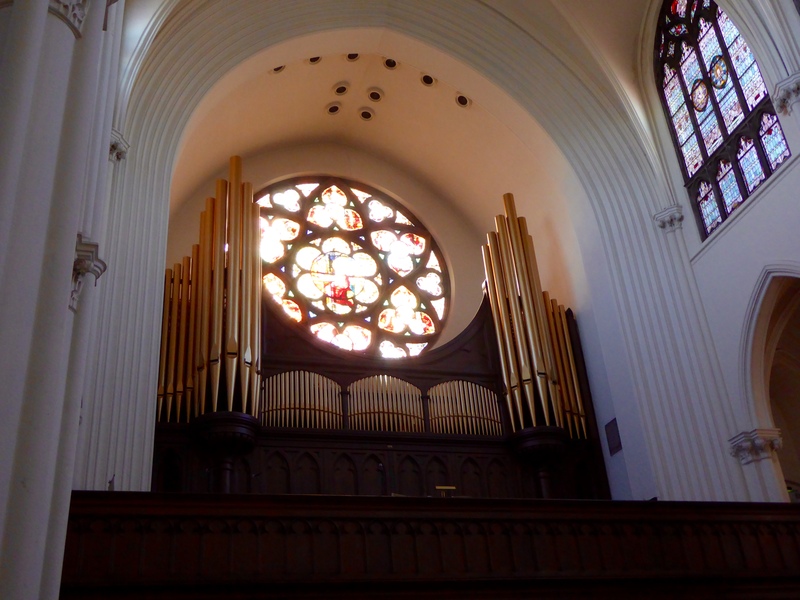 The choir loft features a massive pipe organ, but the loft is only open to the performing musicians. Outside in the garden area, these statues are also beautiful. 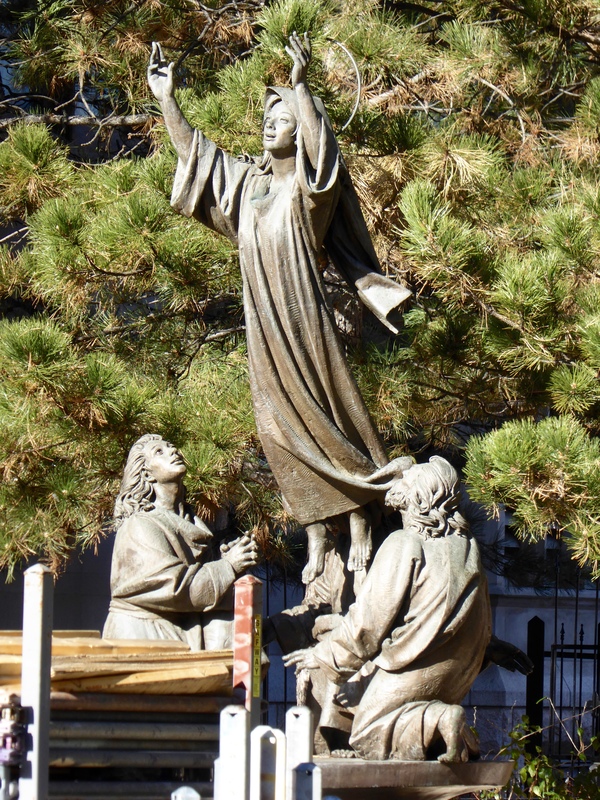 When Pope John Paul II visited the United States in August, 1993, he celebrated Mass at the Cathedral as part of the World Youth Day celebration in Denver. 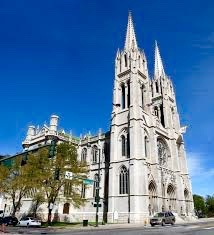 We showed you the photo of the exterior of the Cathedral. However, restoration is now taking place, so these are our photos. I, Zeb the Duck, was inside, but often in churches mom keeps me in my travel bag. People were arriving for the 12:15 Mass. 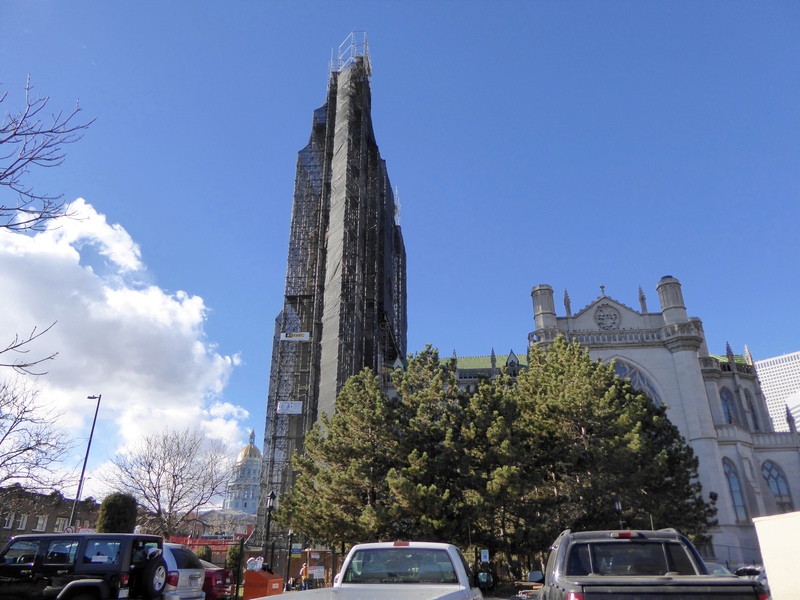 This is the other side of the Basilica, showing construction and restoration in progress. 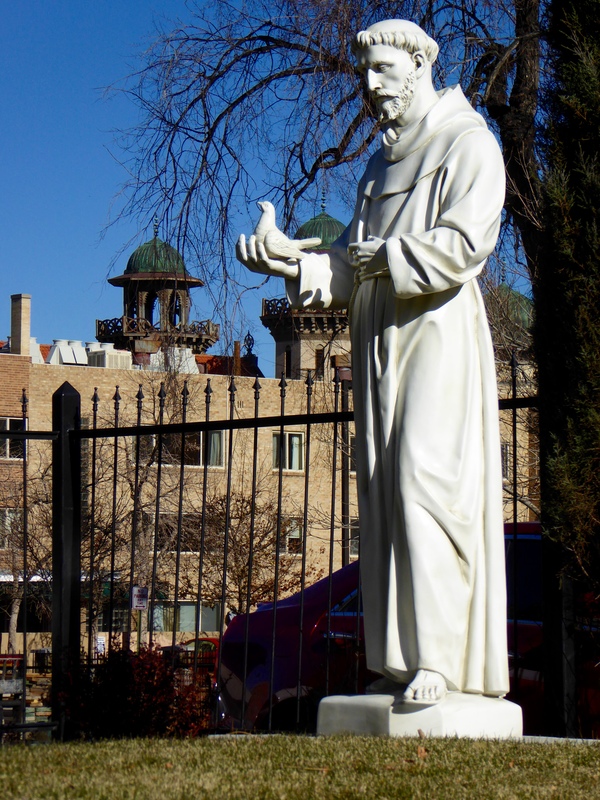 You can see, the Cathedral Basilica of the Immaculate Conception is just a couple blocks from Denver’s capitol building. If you are in the area, we think you would love to see this beautiful building and the fabulous windows. 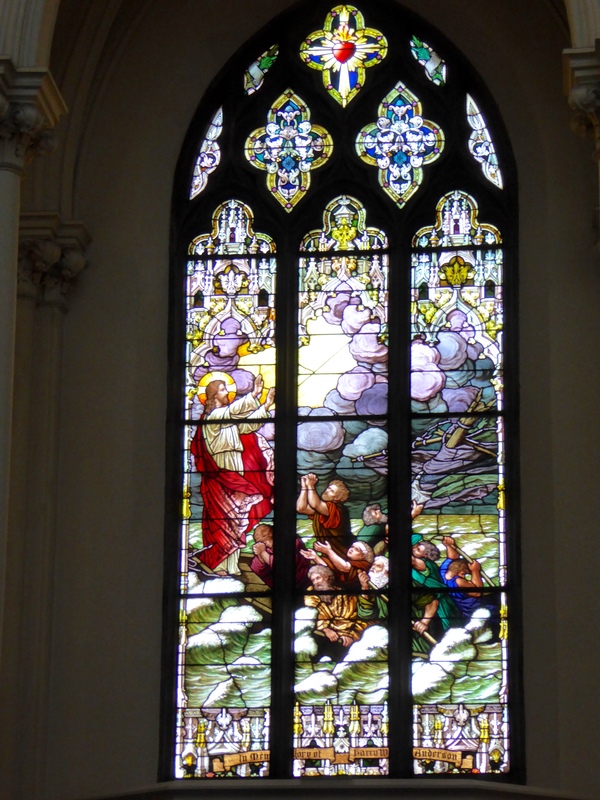 This entry was posted in Colorado, Uncategorized and tagged Cathedral Basilica of the Immaculate Conception, Colorado, Colorado Traveling Ducks, Denver, Royal Bavarian Art Institute, stained glass windows. Bookmark the permalink. 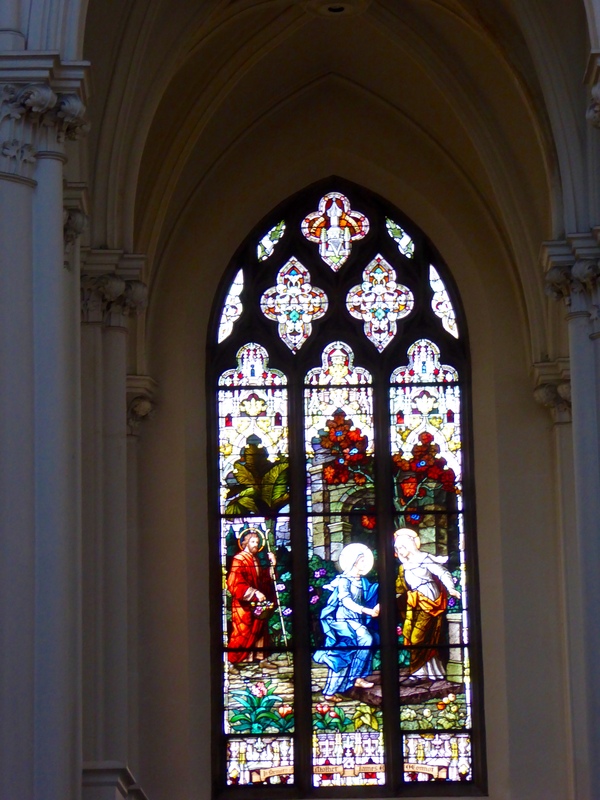 I enjoy looking inside beautiful churches. Thanks for sharing this lovely one. We also love to see beautiful churches. This one is wonderful and just the windows are worth a visit. Thanks for reading and commenting.